It's official -- Diesel, a book store, Malibu's beloved indie bookstore, is coming back. Owners Alison Reid and John Evans, who finalized a lease at the Malibu Country Mart on Aug. 30, expect their new location to be up and running by mid-October. The new store, in the Malibu Country Mart's interior courtyard, will be roughly the size of the Brentwood location, which opened in December 2008. The couple, who opened their first bookstore in 1989, also own a shop in the Rockridge neighborhood of Oakland. 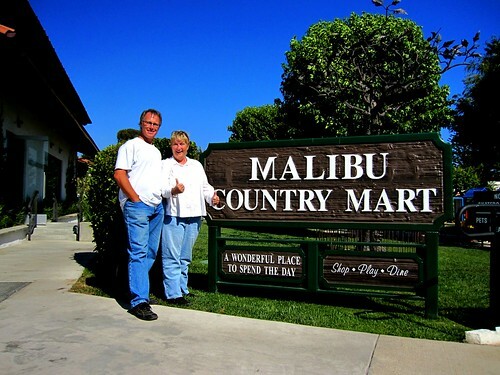 John and Alison have been working to re-open in Malibu almost from the instant they realized last February that they would have to close their seven-year-old store in Cross Creek. The Country Mart location, while a bit smaller than the previous Malibu iteration, has a far better vibe. It's a light-filled space with soaring ceilings, a beautiful wood floor, and a great view of the neighborhood's new hardware store across the street. Congratulations, John and Alison! And to the many devoted friends of Diesel Malibu who have phoned with questions and encouragement -- your calls have been answered.